The Chicco Capri C6 Lightweight has been renamed the Chicco Capri Lightweight. This little stroller is one of the lightest options we reviewed. It is an economical stroller that is easy to fold, easy to carry, and has a small amount of storage. If movement on a hard surface is all you plan to do, it might not be a bad commuter for use as a secondary stroller given how light it is. However, for the money there are other options available that can give you a better recline, more storage, other accessories, and better quality. Unless you are only looking for an easy to carry stroller, this just isn't the best bang for the buck. The Chicco Capri C6 Lightweight is an umbrella stroller made by Chicco. It has a new larger adjustable canopy, a padded 5 point harness, and a multi-position reclining seat. It has all wheel suspension, and front wheel swivel with rotation locks. It is relatively lightweight, and comes with a carry bag and strap. This stroller is for use up to 37 pounds, and it comes in a few different colors. This product did not do well in the ease of use category. It scored only 4 of 10, which put it below average. Only a few other products scored lower in this metric, First Years Jet and Jeep Wrangler All-Weather earned a 3 and 2 respectfully. The C6 has one storage bin under the seat bottom. It is relatively small compared to other products, but it did have a maximum weight capacity of 10 pounds which was actually pretty heavy. It will not fit an average sized diaper bag, and the bin itself is hard to access with a cross bar in the back that impedes actual use. It can be accessed by the side and back, but you will have to shove things in through the corners between the bars, and you can't use it at all if the seat back is reclined. This product does not offer any other storage for parent or child. There are also no available accessories for purchase to add storage after the original purchase. The sun shade on this product was only average in size, but it did have ventilation, and a peek-a-boo window. It has a back flap that extends to the seat back when reclined. The side arms lock out easily to hold the canopy in place. The cover snaps to the top of the seat, or it can be undone to allow for increased ventilation in warm weather. The SPF on this shade was not specified by the manufacturer. This product has a fairly unimpressive sun shade, but it is better than some others in that it actually connects to the seat back. The First Years Ignite had a smaller canopy and did not connect to the seat back, which was limiting. There were other shades that came in smaller than the C6; this included the First Years Jet, and the Jeep Wrangler All-Weather, and the Quinny Yezz. This product has almost no contributions for convenience. There is no additional storage, cup holder, or adjustable leg rest. Not only is there no adjustable leg rest, but the seat bottom edge seems stiff and uncomfortable for the back of little legs with sensitive skin. The back does recline, but it is sort of an involved process including zippers and snaps, which in the end only buys you an addition 10 degrees of recline. The seat back is already at about 55 degrees, after recline it is about 45 degrees. Even for a stroller on the lower end of the price scale, this all seemed like a potential deal breaker. The C6 had one of the lowest scores for maneuverability in our tests. Only one other stroller scored lower in this metric, First Years Jet. For ease of pushing on pavement this stroller was harder to turn than most of the other strollers, it was really hard with only one hand. The stroller felt fairly unresponsive and the front wheels got stuck on just about everything they came in contact with. In addition, there is a lot of flex in the frame compared to the other products tested. Given that this rig didn't do very well on hard flat surfaces, it isn't really a big surprise that it failed in its off pavement run as well. The wheels tend to self-steer in grass or gravel making it difficult to navigate and a struggle to push. It wouldn't roll over a 1 inch lip, and the wheels were a perfect fit for getting caught in large street drains and it had difficulty with a slight hill and tipping. The curb and stair negotiation was also a disappointment. We had to keep the stroller tipped back farther than other strollers to prevent it from tipping forward and pulling us off the stairs. The curb negotiation was easier than the stairs, and the brakes didn't catch on either, which was at least one plus in its favor. The handles are a good height for pulling the stroller up the stairs, but seemed too short when trying to go down. It isn't impossible, it just felt like more of a struggle than other options we tested. Safety is something parents are always concerned about. We reviewed different features for safety concerns. These included harness type and structure, brakes, and tipping tests. The C6 did well in this category with many strollers ranking lower. The product with the highest score in this metric was the Quinny Yezz, which earned an 8 of 10. The brakes on this stroller were a double pedal design, which means you will have to depress two pedals in fully engage the brakes. The concern over this is that some parents might not remember or purposefully won't push both pedals. Even though there were two pedals, the pedals themselves are easy to engage and fairly easy to release. The brakes are sandal friendly, and had negligible play once set. The pounds of pressure required to slide this stroller back and forward are just over 5 and 4 pounds respectfully. This was second to the lowest amount of pressure necessary for this category of products. This 5 point harness has two adjustable shoulder height options. The height adjustment is fairly easy to set, but the adjustment of the harness itself was a little more difficult. The padding on the shoulder strap created an obstacle to the buckle and some users had to remove the padding to make the final adjustments. Once the straps are adjusted the harness fit the stunt baby well. The buckle is hard to access and stiffer than some of the other products, but it was not so bad as to be a deal breaker. The side tip angle of this product was on par with many of the other models we reviewed. At 27 degrees it was better than some, certainly not the worst, but not as great as others. For one of the cheaper products it seemed to hold its own in this test. Where it really shined is the amount of pressure needed before it tipped backwards. While many of the products we tested were closer to 20 pounds, this stroller came in with an impressive 75 pounds of pressure needed before the stroller would tip over backward. The quality of this item was also below average. It just didn't measure up to the competition. While it wasn't the worst in this metric, that position was held by Jeep Wrangler All-Weather, it wasn't the best either. That honor was once again held by the Quinny Yezz. The quality of the fabric on this stroller was not the worst, but it did have a coarser weave than many of the other options. The fabric is not water proof or stain resistant, and while the label says machine washable, the manufacturer website says the seat is not removable. This conflicting information is not really the worst thing about the fabric, but it is worth noting that it doesn't make sense. The fabric is simple and fits tightly to the frame. It appears to have quality stitching that keeps the seat to the frame. The frame feels sturdy, and is simpler than the other Chicco stroller we reviewed. It folds like a traditional umbrella stroller, but it has some flex to the frame and some loose connections. The wheels on this stroller are smaller than most of the other products we reviewed, and they have a cheap feeling that cause vibrations when strolling. However, they are not as cheap feeling as those on the Jeep. The handles on the C6 are a hard plastic that have ergonomically shaped grips, with contoured areas on the top and bottom of the handle. They are a relatively good height, but the back wheels are close together and back so far that users did kick the wheels fairly often. The handles do not have any padding on them, which might make them uncomfortable over time or if pushing any significant weight. The comfort of this product isn't great. While it has a typical sling style seat with 4 shocks, it had very little padding and harder slats in the back, that made the overall comfort worse than some of the other products we tested. Given the heavier tread on the smaller wheels and limited ability to recline, there just wasn't much to say about the comfort on this stroller, or how comfortable it would feel over time as a passenger. This stroller is the second lightest stroller in our review. At just over 10 pounds it is significantly lighter than the average product we looked at, and that means it is easier to cart about town. The fold was fairly narrow as well, and overall it did not take up that much space. It measures out at 10x44.5x9, and a little over 4,000 cubic inches. The folded dimensions of this product were smaller in diameter than many of those we looked at, but the length was on par with most of them and meant it is harder to fit in a trunk than smaller options. Only one other stroller was longer, the Chicco Liteway, which came in at 45 inches in length. This product is easy to fold, but you will have to bend all the way to the ground to lock it in place. It is advertised as a one handed fold, but we felt it really should be a two hand, and even with practice we couldn't get it down with just one hand. products we looked at. It has an auto-lock, but it doesn't self-stand, so this means it will take more hands to complete the fold and stand, or to carry the stroller once closed. It does have a fairly user-friendly shoulder strap that makes carrying the product easier to cart about than those without any mechanism to carry. This light, easy to carry stroller earned the second highest score for commuting. It is easy to fold and carry, has a smaller footprint for navigating tight spaces, and it is easy to get into and out of a trunk. In addition, this stroller is easy to get on and off public transport even when carrying a baby. Maybe the only thing that could be improved on for this metric is if it had a self-standing mechanism so parents could be more hands free. This stroller came mostly assembled with just the canopy to assemble. It took 4 minutes and 20 seconds to get the product out of the box, decipher the instructions and get the canopy attached. The manual comes in three different languages, but none of them were very clear to us. The steps seem to be scattered throughout the manual with the operation instructions, instead of lumped together in an understandable assembly format. In addition, the instructions left out the step where the sun shade fastens to the frame. Better documentation would have cut the time in half. The best application for this stroller is as a secondary umbrella stroller for commuting or traveling on hard surfaces with little to carry. 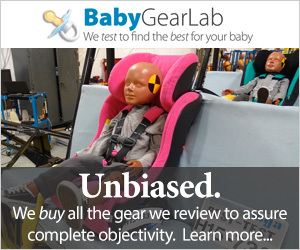 It didn't do spectacularly well in any metric, but for the price it might be acceptable to average depending on what you are looking for in a second stroller. This product definitely can't be used as a cross over or primary stroller because it lacks storage and accessories necessary to fit that bill. This product is a relatively inexpensive stroller this category. This may make it seem like a good value compared to the other options available. However, the Contours Lite really offers more for the same price. It comes with the largest storage bin, a child's accessory tray, and a parent's cup holder. The back on the Contour has more recline options and at a deeper angle. It folds in half instead of like an umbrella, which makes it easier to fit in trunks and small spaces. The sun shade is also bigger, and adjusts to fit even the most reclined seat back. It isn't that the C6 is a bad stroller, it just doesn't offer much, even for the small price tag it sports. This stroller has a nice lightweight design and it folds tight for a narrow silhouette. It is easy to fold and carry, but it doesn't offer much in the way of convenience or quality. It really is just a bare bones umbrella stroller for getting from point A to point B. For sticking to the city and going a short distance, this might not be a bad choice, but it really lacks the overall comfort and storage to be much more. There are other products available that have more options, and a similar price. No matter what you are looking for in an umbrella product, except perhaps a lighter weight one, there is a stroller that does it better than this one. Compared to the other products, it isn't a bad option for the money. But the Contours Lite is the same price and had more to offer with a significantly higher overall score. In addition, the Chicco Liteway, might also be one to consider. While it is more expensive and heavier, it offers so much more than its little brother. Chicco makes several other types of strollers, and we also reviewed the Chicco Liteway in this category. We did not see any available accessories for this product on their website.